There are so many benefits of nature that it would do you some good to get out there right now if you can. It may go deeper than just enjoying the great outdoors as nature can now be prescribed to patients in the same way a medication has been. Scottish doctors are recognizing how important it is to get outside and the benefits of nature that can have a positive effect on their patient’s health and wellness. This article will look at why getting outside could do you some good. 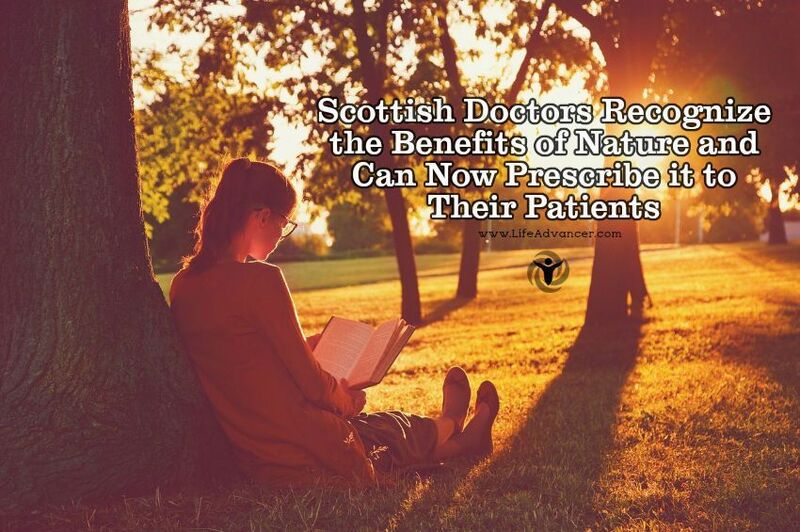 This has started in Shetland, Scotland where doctors there have now been authorized to prescribe nature to their patients. This is a groundbreaking moment because it’s taking a truly holistic approachto things as opposed to doctors just blindly prescribing medications. Depending on the condition, medications can cause just as many bad side effects as the issue they are trying to address. With some medications, there is still no cure and they tend to mask the symptoms. It can almost be seen as painting over rust as they are not addressing the underlying causes. Exposure to sunlight and vitamin D.
Fresher air and physical movement. There is also the result of helping increase happiness in those suffering from diabetes, mental illness, stress, heart disease and much more. What Does The Research Say About The Benefits of Nature? This is one of those situations where your intuitive wisdom knows how important it is to be outside and be active in nature but now science is catching up to that. Turns out there is quite a lot of evidence from the benefits of nature on mental and physical health. It goes deeper too, spending time outside will reduce aggression along with ADHD symptoms. It seems interesting to think of the benefits that could happen with younger people suffering these symptoms as opposed to loading them up with medications. Being outside also can improve pain control and boost your immune system. You always notice how much better you feel after you’ve gone for a hike or a walk through the woods and this is the benefits of nature working. If more people were to reconnect with nature, we might see a decrease in a lot of nasty conditions that have increased over the years. Our lives have become so busy that taking the time to step away and appreciate the surrounding nature has taken a back seat to commute everywhere in cars and being stuck indoors. Our bodies are so in tuned with nature but that signal has become weaker the longer we have stayed away from it. That mechanism is still there though and can be re-engaged once you get back outside. There’s a memory in your body for nature that is built in and you shouldn’t deprive yourself of this. Not only can this help you be more connected with yourself but you can see the health benefits that come from it. Gyms and fitness clubs are great. You get access to the best equipment in one place for very little money a week. The problem is this shouldn’t be your only form of fitness. Mixing up your gym time with time spent outside can get you the best of both worlds. Being stuck on a treadmill while staring at a wall and breathing recycled air can get pretty monotonous. Switch this up by getting outside and giving your body a new stimulus. Hiking is one of the best activities to take advantage of the benefits of nature and also improve your health at the same time. When you hike you get a good full-body workout as you have to navigate over difficult terrain, small streams, fallen trees etc. This helps give you a good core workout and builds better coordination and balance in your body. You also recruit your smaller stabilizer muscles in your legs, ankles, and feet as you manage the uneven trails. There is also more of a mental stimulus as your brain has to be more engaged from the constantly changing physical challenges that present themselves. You don’t get this effect staring at a TV screen while on an elliptical machine. This is an exciting time to see GP’s prescribing things like bird watching and rambling to help boost their patient’s health and help ward off harmful conditions. Hopefully, we’ll see more doctors taking this approach and allowing the benefits of nature to do what they have always been able to do.